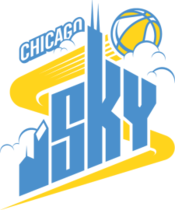 The Chicago Sky is a professional basketball team based in Rosemont, Illinois, actively playing within the Eastern Conference inside the Women’s National Basketball Association (WNBA). The team ended up being founded prior to the 2006 WNBA season began. The team is owned by Michael J. Alter (principle owner) and also Margaret Stender (minority owner). Like other WNBA teams, the Sky has the distinction of not being affiliated alongside a particular NBA counterpart, although the NBA team, the Chicago Bulls, also plays in the same city. The Sky has missed the WNBA Playoffs in each of its five years in Chicago. In February 2005, NBA Commissioner David Stern announced that Chicago had been awarded having a new WNBA franchise. The franchise was temporarily named WNBA Chicago. On May 27, 2005, former NBA player and coach Dave Cowens was announced because the team’s first head coach and general manager. The group house would be the UIC Pavilion. The team’s introduction in Chicago was highlighted from the look of several WNBA star players, such as 2004 WNBA Rookie of the Year Diana Taurasi, 2005 WNBA Rookie of the Year Temeka Johnson, 2002 WNBA Rookie of the Year Sue Bird and 2003 WNBA Champion Ruth Riley. In November 2005, the team held an expansion draft to assist construct its roster of players. Amongst the notable selections had been Brooke Wyckoff from the Connecticut Sun, Bernadette Ngoyisa from the San Antonio Silver Stars, Elaine Powell from the Detroit Shock and Stacey Dales (who had retired prior to the 2005 season) from the Washington Mystics. On February 28, 2006, the team announced that two of the minority shareholders of the team are Michelle Williams, from the vocal group Destiny’s Child and Matthew Knowles, father of Destiny’s Child lead singer Beyoncé Knowles. 2006-2010: At just home, white alongside mild blue regarding the edges. Collar is mild blue. In the road, mild glowing blue alongside gold throughout the edges. Collar is gold. 2011-present: At home, white alongside light azure stripes on the sides. Color is light glowing blue. In the road, light blue with gold stripes in the edges. Collar is gold. In addition, both the home and also away uniforms feature the team nickname and figures in gold.